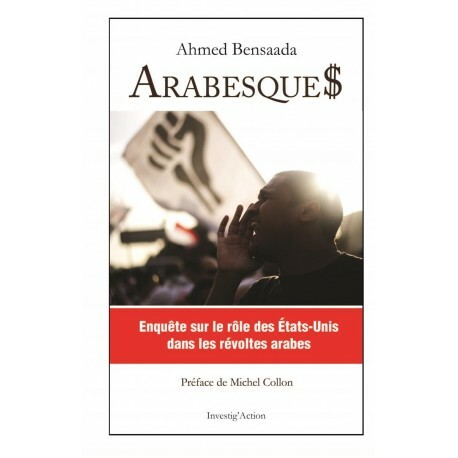 Arabesque$: Enquête sur le rôle des États-Unis dans les révoltes arabes (Investigation into the US Role in the Arab Uprisings) is an update of Ahmed Bensaada’s 2011 book L’Arabesque Américaine. It concerns the US government role in instigating, funding and coordinating the Arab Spring “revolutions.” Obviously most of this history has been carefully suppressed by the western media. The new book devotes much more attention to the personalities leading the 2011 uprisings. Some openly admitted to receiving CIA funding. Others had no idea because it was deliberately concealed from them. A few (in Egypt and Syria) were officially charged with espionage. In Egypt, seven sought refuge in the US embassy in Cairo and had to be evacuated by the State Department. This article was posted on Sunday, October 25th, 2015 at 10:06pm and is filed under Book Review, CIA, Egypt, Espionage/"Intelligence", Israel/Palestine, Jordan, Libya, Media, Mossad, Propaganda, Qatar, Saudi Arabia, Social media, Syria, Tunisia, Turkey, WikiLeaks, Yemen.